For the discriminating buyer, this picture-perfect home is shining and spotless, and its many special touches are sure to please you. Designed with distinction, enjoy the many quality and tasteful upgrades, including gorgeous hard wood floors, a tray ceiling in the living room, and a charming fireplace with mantle. The spacious kitchen is a gourmetâs delight, and the dining room offers plenty of room for entertaining. A money-saving solar energy system is in place until 2034, paid for by the Builder. Imagine spending wonderful evenings in San Luis Obispoâs temperate climate under your custom-built patio pergola. 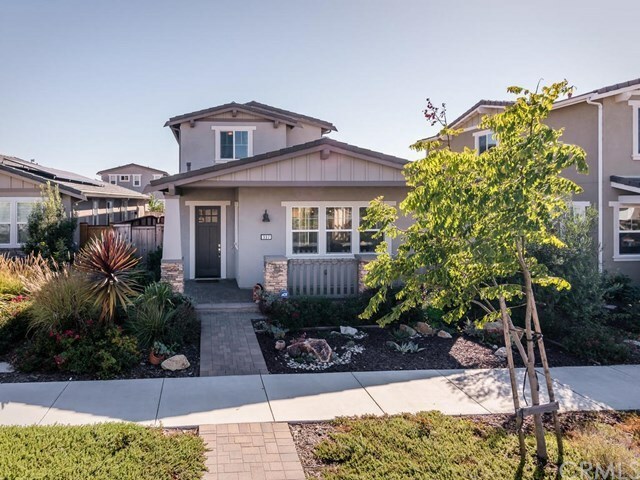 Serra Meadows is an up-scale community surrounded by local foothills and conveniently located just minutes from downtown. Wake up with a smile and live the good life in this instantly appealing home. Information not verified. Directions: South on South Higuera; Left on Prado; Left into Serra Meadows; Left on Sage - Home on left. Inclusions: Refrigerator in Kitchen, Washer & Dryer, flat screen t.v. on living room wall.